Brauerei Locher AG has been in the hands of the family Locher for five generations. In Switzerland the Brewery Locher is known as a high-quality brewery for speciality beers. 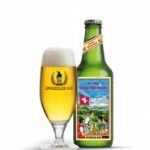 Even though beer lovers abroad are increasingly developing a taste for Appenzeller Bier. The interplay between tradition and innovation is the never-ending circle, the traditional rustic art on the beer labels illustrates the roots and values for which Appenzeller Bier stands. Through irrepressible innovative drive and extremely motivated staff, DIWISA Distillerie Willisau SA has become a market leader in Switzerland, as well as one of the most modern distilleries in Europe. 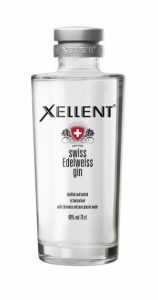 The XELLENT Wodka & Gin are distilled in copper alembics using traditional craftsmanship with fresh glacier water from Titlis and pure natural ingredients. Excellent distillates from the heart of Switzerland have been a purely family affair since 1918. There are few companies whose name is so synonymous with quality than that of Etter Soehne AG. Since the founding of this true family company in the year 1870 in Switzerland, Etter have strived for quality in everything they do. They concentrate on the essentials and put love and passion into the small details. And they are equally passionate and meticulous about the production and maturing of their fruit eau-de-vie. The company Alta Terra AG is a subsidiary of the Swiss family company Narimpex AG. The aim of Alta Terra is to keep the multitude of flavors and traditional recipes from Switzerland. 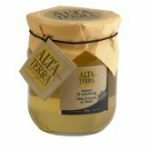 The brand Alta Terra stands for Swiss quality, enjoyment and traditional values, the combination of passion for delicious food and tradition. Their specialties are natural finish, authentic and pure. Trauffer Holzspielwaren AG has a long tradition in Switzerland since 1938. 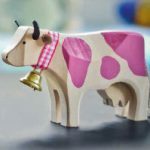 Every Swiss child knows the little spotted cow with the golden bell. Bright children’s eyes have been continuously the drive to improve the quality and texture of the beautifully designed products. Every product is a single piece, which may have very slight, but quite deliberate deviations from the prototype in the catalog. This is exactly what guarantees the authenticity and the sympathetic character of Trauffer Wooden toys. Wood is a natural product that can change constantly, a branch or a small crack are the proof: Trauffer toys are really natural.